Looking for a VBS alternative do an Open House. One of the outreach/in reach activities we do at our church for our kids ministry is an Open House. Why do we do it? – We do an open house every year for a few reasons. 3. We want to give our families an event to invite their friends who have kids to part party part snapshot of what we do on the weekend. 5. Allow a non-threatening environment for new families to check us out as a family. 6. Give our team a bit of a break as well as a moral boost. 3. 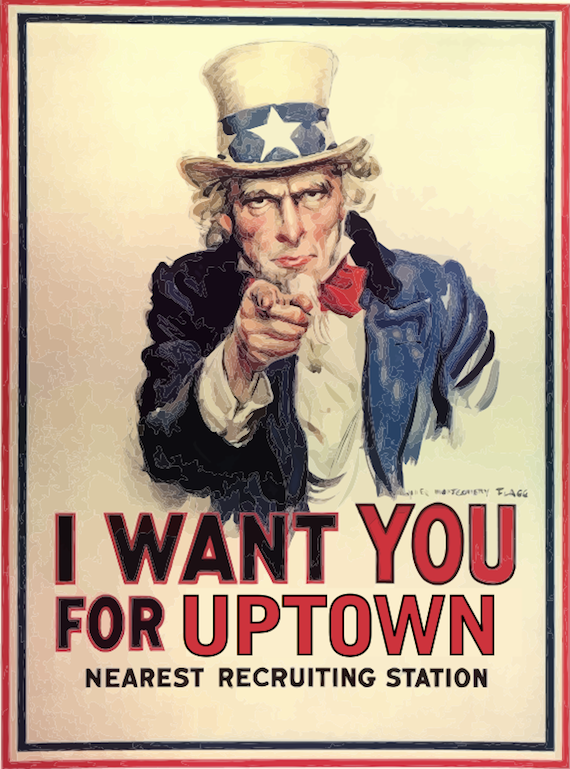 Every moment the MC talks we refer to what we do in uptown week in and week out. Never ceases to surprise me how many parents don’t know what we do every week. 4. Keep the service short so parent have time to hang and enjoy each other after church. You want to give them a taste not a buffet. 5. Have lots of fun planned for after the service. Every year we have face painters, clowns, and the bubble man. 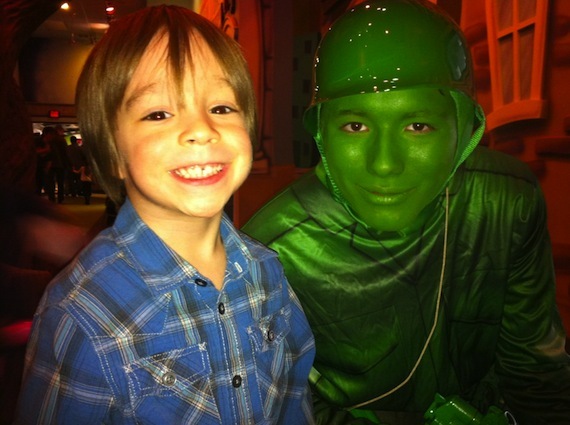 (Our theme was War so we had the Toy Story Army Men visit uptown. 6. Have cool snacks. 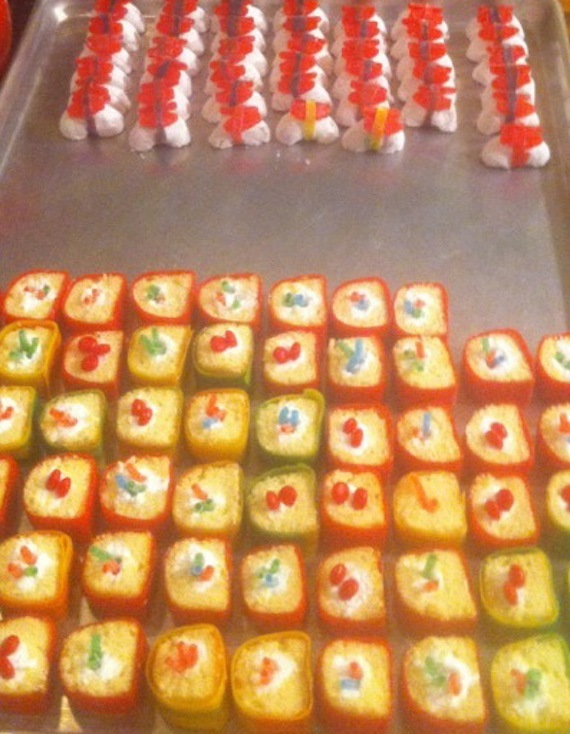 We always do cupcakes and a couple of times we have done candy sushi KIDS LOVE IT! We used to do it when school kicked off we moved it because it was a busy time of year. We tried the end of January and it worked out great. I love our open house because it accomplishes two things 1. Helps reinforce the value Christ put on kids 2. Gives our families a something specific to invite people to. I find that people come to special events much easier than they do any random weekend service. Met loads of new families, so proud of our Uptown team everyone did their job so well. I couldn’t be prouder to be part of a team that works together and part of a church that really gets the value of youth and kids ministry. Looking for a VBS alternative, do an Open House. So you don’t have VBS? I’ve been thinking for a while that VBS has run it’s course. So many parents are actually from other churches (so the kids aren’t really unchurched) and they just use it as free/cheap “camp.” Plus, the parents really don’t get introduced to the church at all. I’ve never seen a church do a good job of follow up or outreach after VBS. It’s hard to explain this to older generations who think VBS is the cornerstone of any good kidmin. At my last church our budget had been cut drastically but not VBS. We were at the point where 1/3 of our yearly budget was spent on the week of VBS. Crazy. Would be better spent on this open house thought. Great stuff. I'm actually having this conversation with volunteers about VBS alternatives. We have a group of key volunteers that believe we should start one. Hey Sam – Is the video available to watch somewhere? Do you do this annually? Recently? What have you learned since this post?